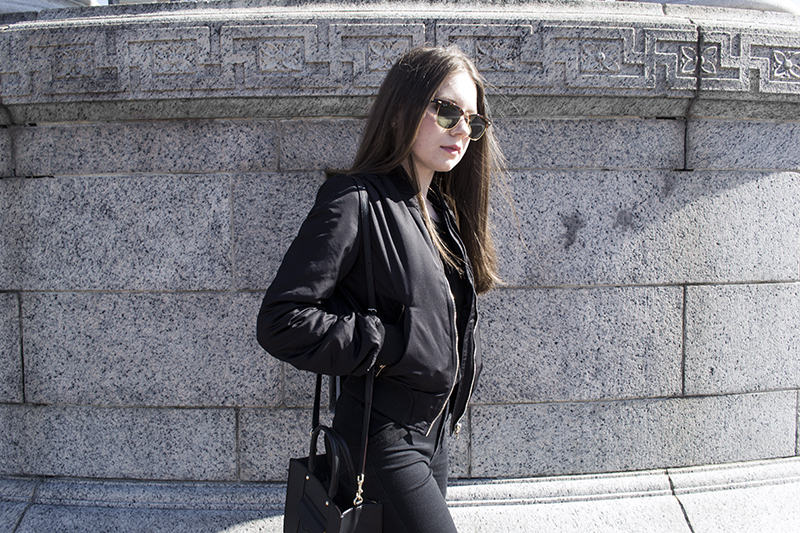 My bomber jacket has become my outerwear go-to lately. I will wear it with anything, but especially love styling it with an all black outfit like this one. I'm not a big sports fan, but I do love adding a sporty element to my outfits from time to time to make my look a bit more casual and suitable for rushing around the city. My Adidas 'Stan Smiths' contribute to the street style feel and add texture to the look with their shiny, python print pattern. This outfit wouldn't be complete without a structured mini bag that surprisingly fits more than the essentials and my Ray-Bans 'Clubmasters.' 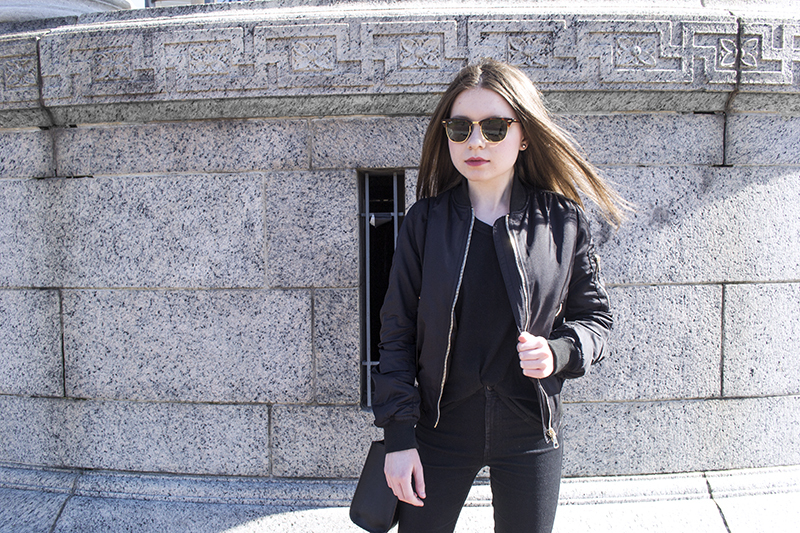 Bomber jacket + simple tee + jeans + sneakers = my new spring uniform.